Perth Joins a Brave New World! Provided you download no more than 50mbs per connection, within a one hour connection enabled for any and all wifi enabled device. Should you last an hour without downloading that much, you will have to disconnect and reconnect to keep using it. 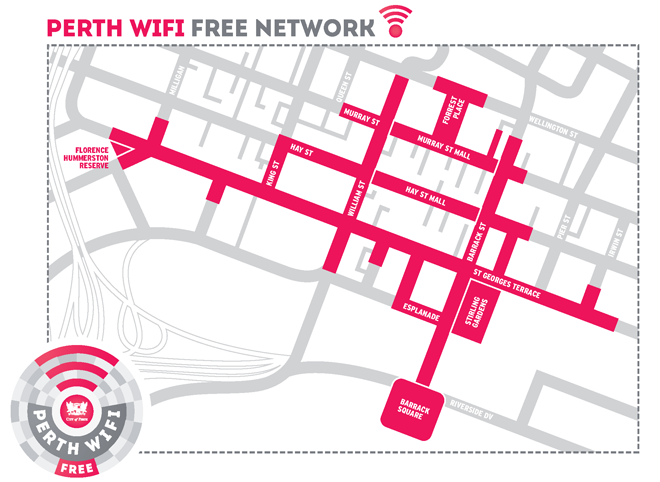 So, what do you think about the move to give all who visit Perth free internet access whilst in the city? Is it a good idea, or just a waste of money? I’d love to hear your views in the comments below. This entry was posted in Rant, Social Media and tagged Internet, Perth, wifi. ← It’s a Small World Afterall – Tiny House Movement.